Australia is by far the finest place to explore on foot – from its expansive desert plains to towering mountain ranges all through wonderful green open spaces. Start your adventure exploring the hidden seaside trails all over the coast and create unforgettable memories. 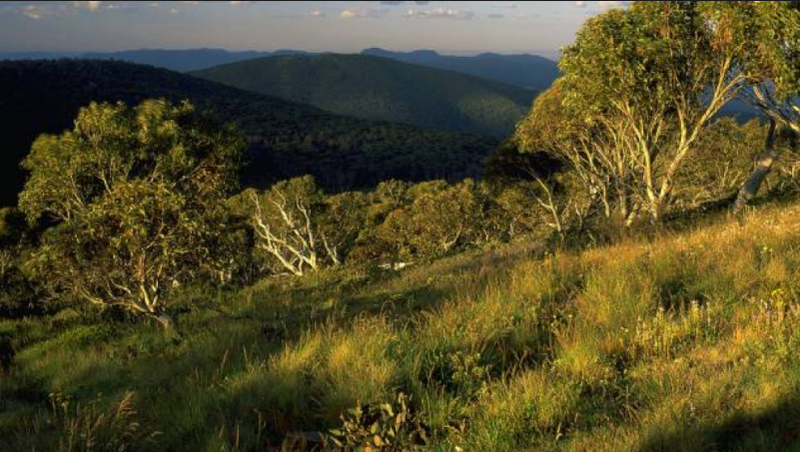 Australia has thousands of great places to see and stay, so gather your hiking boots and start hiking. Listen up, this is one of the many great trails, its an old abandoned 40-kilometer railway tunnel (what’s not to love here?!) known as the Glowworm Tunnel, located in Wollemi National Park is the perfect trail to explore if you want to experience something really special. The best part is that it is named by its most curious inhabitants – glowworms which are the larvae of the fungus gnat that turn to an amazing blue color in the dark. Pack your flashlight and start this 2.9-kilometer return walk (it takes around two hours to complete) through this awesome spooky tunnel. Explore the Uluru Base Walk early in the morning and discover indigenous grounds and stunning natural beauty. It is considered to be one of the best walks because it contains a perfect balance of geological prowess with cultural significance. It takes about three to four hours to complete this amazing 10.6 kilometers long trail. Get ready to fully explore the Uluru Kata Tjuta National Park at the pace that suits you (the trails range from easy to moderate) while learning all there is about the rich culture of Uluru by following the footsteps of ancestral beings that affected the creation of the amazing surroundings we have the opportunity to explore. At the top of the best day-hikes in Australia is certainly the Wineglass Bay Circuit trail, located in mesmerizing Freycinet National Park. This trail offers hikers and climbers the chance to perceive the true beauty of the National park from different vantage points. The 12 kilometers long trail takes four to five hours to finish and is rated as intensity 4 trail so it is perfect for the experienced hikers. This trail provides one of the most amazing Tasmanian walks and has many things to offer such as the sweeping views of the Bay and Mount Freycinet. Once you experience the natural beauty of the bay during the amazing 3 Capes Walk you will surely want to come back! 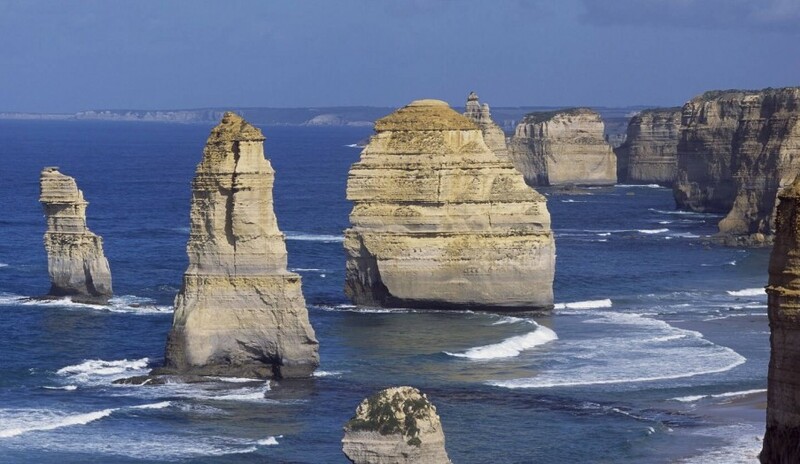 If it’s your first time in Australia you simply must visit the Great Ocean Road and its iconic 12 Apostles rock formation! It is one of the most photographed natural wonders in the world so you better not miss it! The Great Ocean Road is an amazing example of dramatic coastal scenery with its rocky cliffs and vast stretches of sandy beaches. You will certainly be amazed by the views during your hiking tours that are suitable for walkers of any ability level. The best part is that during this hike you will have the opportunity to see some of the tallest coastal cliffs in Australia with the remnants of historic shipwrecks and more. The Overland track, one of Tasmania’s most intriguing tracks is considered to be one of the world’s best bushwalks. The surroundings are almost unreal and reminiscent of amazing New Zealand or Swiss Alps. Start your 6-day journey through this magnificent alpine scenery and come home as a completely different person. Let the 65-kilometer long landscape featuring lovely mountain streams, radiant waterfalls, and vibrant meadows take your breath away and help you reconnect with nature. There are many tracks you can choose from so take your time and find a perfect one for you. And if you can’t pick just one (it truly is a tough choice) simply start conquering one track at a time until you can proudly say that your boots walked all over.